Thanks! I designed it and my dad and I built it. And here it is Added a sticker from my group and painted the other dials and slider. Are you going to mark a glow in the dark line on top to show the current position of the dials? I guess the bevelled edge does it, just a thought. Is anyone aware of a thread or resource about making a tribe "your own"? 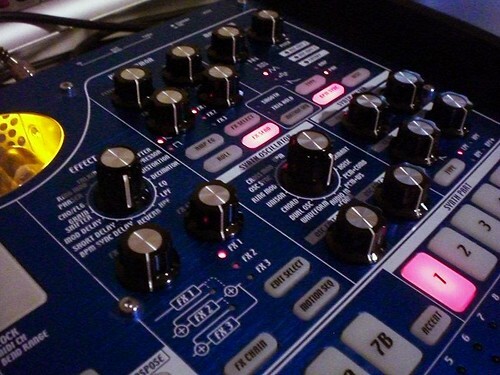 For example, this rather cool picture of an EMX with Moog knobs.. I've seen the silver EMX-1 also, nice. Hi, guys!! Excellent look, man!! I'm looking to change the knobs on my ESX, could anyone please tell me what kind of knobs to look for ? Especially the sizes...which is the maximum diameter in mm that can fit ? Or, more exactly which is the right size?